That's where makeup comes really important in life!! Which are not good because I couldn't show my boss how exhausted I am so he can give me some break. Lol! Approximately 2 weeks ago, I went to Cres Wellness so that I could still salvage my skin condition and of course de-stress. If you've been reading my blog, this gonna be my 3rd visit to Cres Wellness. Please read the previous visit >>>> here. This time I was so happy that I got to try something that targeted to my de-hydrated skin. Did I mentioned that I am ALL into hydrating?? 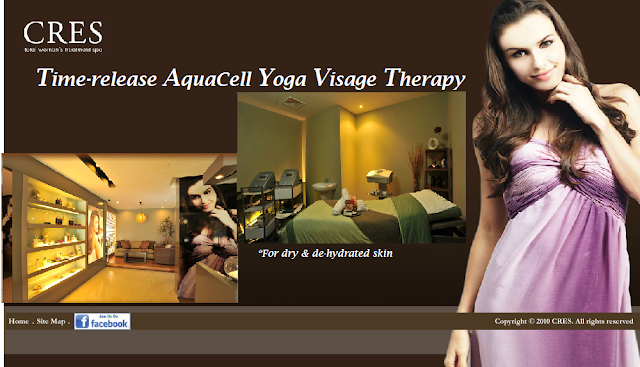 Time-release Aquacell Yoga Visage Therapy one of their new treatment launched recently by Cres Wellness targeted for dry & dehydrated skin by Replenishment & Oxygenating. Time-release Aquacell Yoga Visage Therapy is a high-performance treatment for dry & dehydrated skin which reinforces skin architecture to provide a complete and thorough solution for skin hydration. Skin is highly moisturized and last for days. The Yoga lymphatic drainage stimulates the effective absorption of the rich moisture infused. The osmotic regulating features and reinforced hydrolipidic layer provide a time-release mechanism for continuous moisturizing that last for days. The main product in this facial to provide rich moisture and significant results are the masks and serum used. I personally find the whole process of the facial are quite cooling which is more suitable for Malaysia weather. Lol! Here's some brief information bout the key product used in this facial. Provides superior efficacy in reviving skin glow and optimizing moisture balance. It helps prevent glycation-induced skin damage while restoring skin with deep relaxation. A type of skin identical lipids which help restore skin protective barrier, providing deep nourishment and insulating skin against moisture loss. Rich in Silanediol Salicylate, D'sensi Calming& amp; Hydrating Complex helps soothe and stabilize the skin. Boosts the dynamic of skin hydration by regulating osmotic pressure between the cells and their environment. Its Algae and Caviar Extracts progressively rehydrate, nourish and rejuvenate the skin, leaving the skin soft, smooth and radiantly alive. The duration of the facial is approximately 120 minutes. I like facial that come in longer duration because I can actually relax and sleep-in longer. 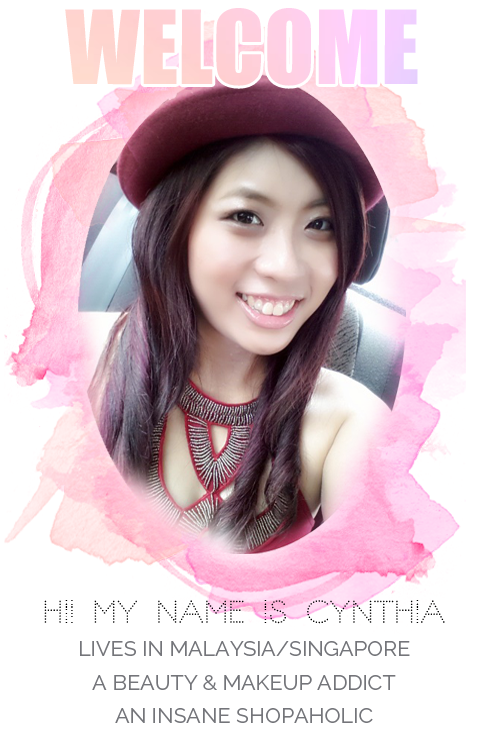 =P The facial is quite different from the previous Ultra Rejuvenation Crystallinear Therapy one I've tried. 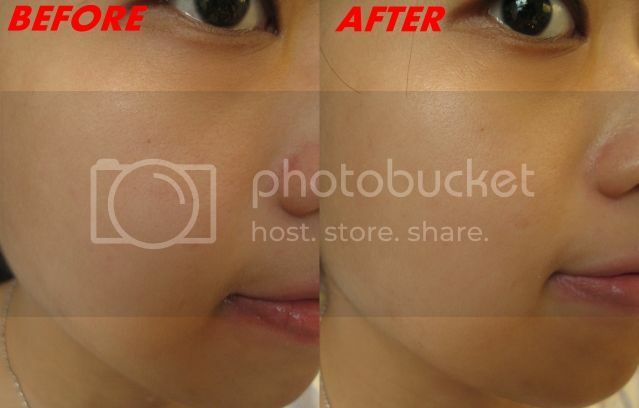 The beautician concentrated more on applying layers and layers of masks and serums with the help of the water oxygen system machine. Not much hand-touch for this session (I kinda prefer if the beautician could massage more on me) and no infared/laser machine used in this facial. After reading all the infomation, you must been wondering how's the result? Here you go. My skin immediately felt hydrated and firm up. Before the treatment, my skin is quite dull. After the treatment, my skin has this tiny radiant glow. It immediately brightens up my skintone. The redness around my nose and cheek level also reduced. 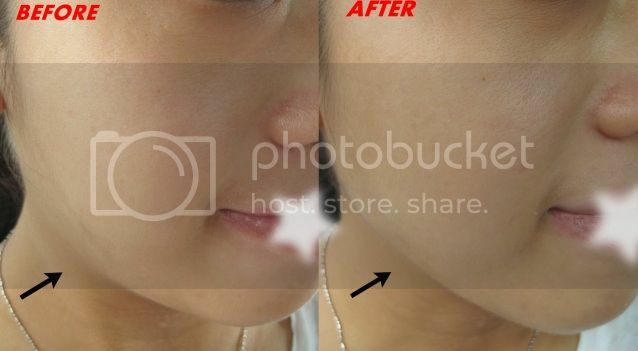 (Look at the picture above as comparison) Don't you notice my pores even reduced and getting smaller? Isn't it awesome?? 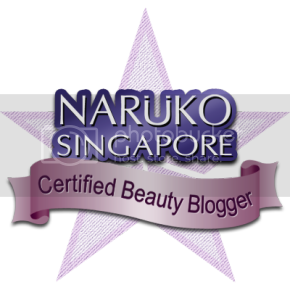 I am quite amazed that my skin is lifted up looking hydrated and firm after the treatment. The picture below speaks a thousand words. I did not edit the picture below except putting in arrow and a star. Overall, I am very satisfied with this new treatment. If you were to ask me will I go to have this treatment again, YES!! 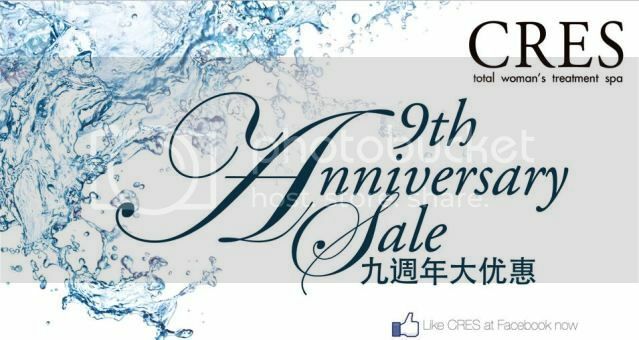 Now Cres Wellness is giving out vouchers to celebrate their 9th Anniversary!! FREE 2pcs of RM20 Product Voucher!! 1. 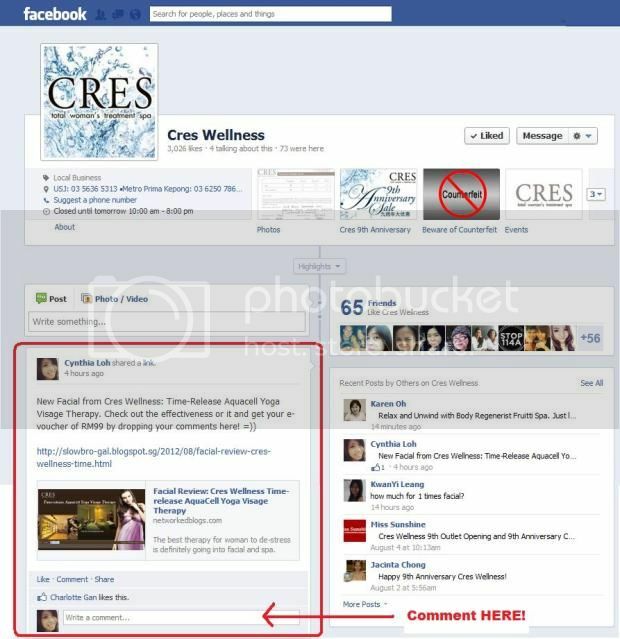 LIKE Cres Wellness Facebook Page. 3. Cres Wellness will contact via. Facebook's personal message. 4. Follow their instruction and they you enjoy your discounted rate! !